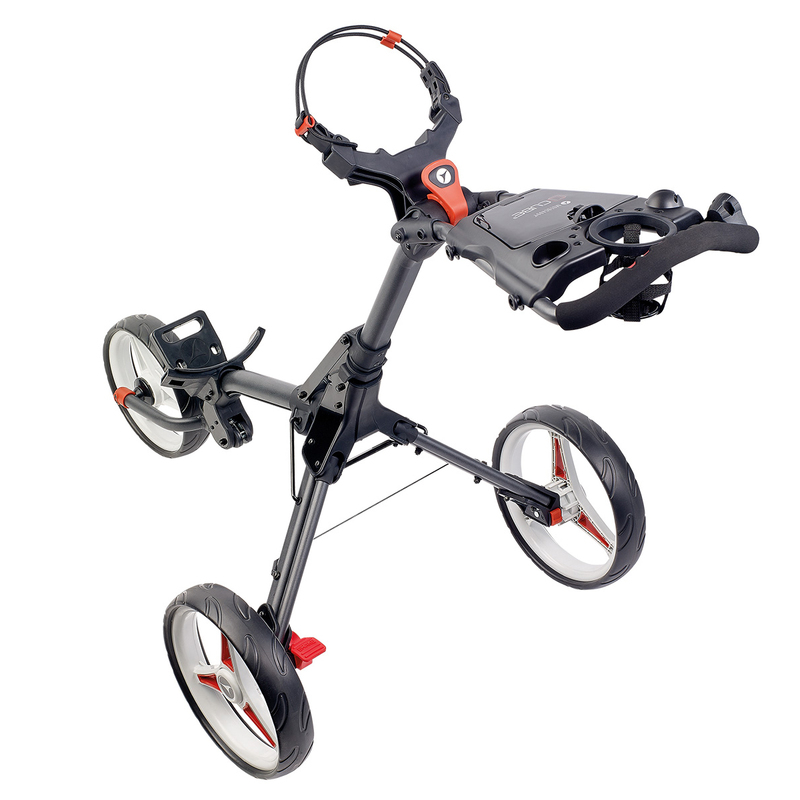 This Motocaddy aluminium push golf trolley has been designed to fold into a compact size. The CUBE trolley has a simple to use folding mechanism to fold into the smallest of spaces during transportation, and has a folding lock to hold into place. 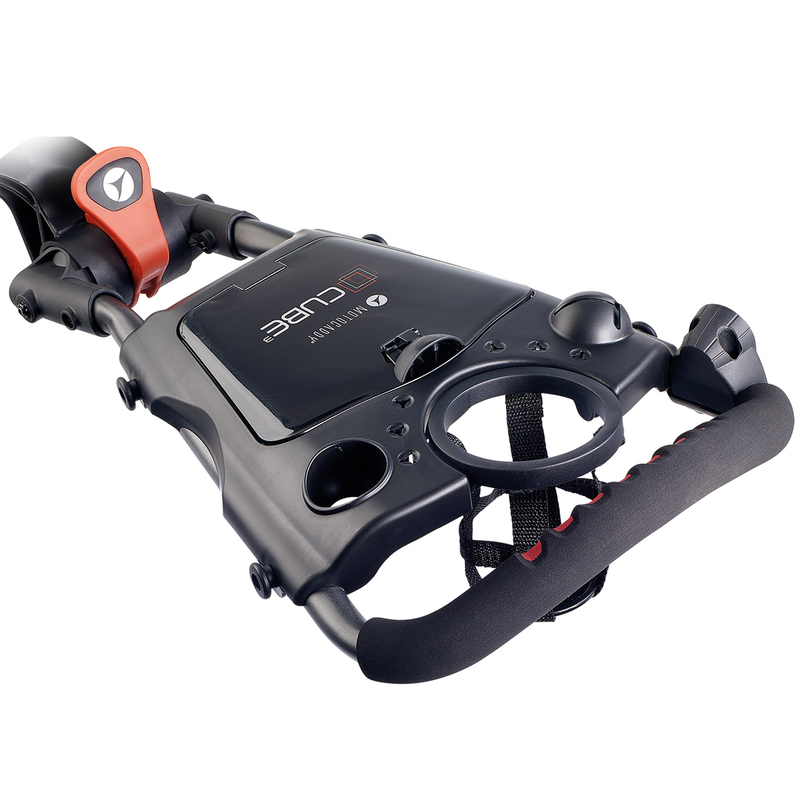 This trolley is also easy to push with friction-free oversize wheels and a easy-push ergonomic handle which is height adjustable. The trolley features an accessory compartment to hold your expensive items, plus has an under storage net. Other features include drink and scorecard holders, tee and ball holders, and includes an umbrella holder fitting. 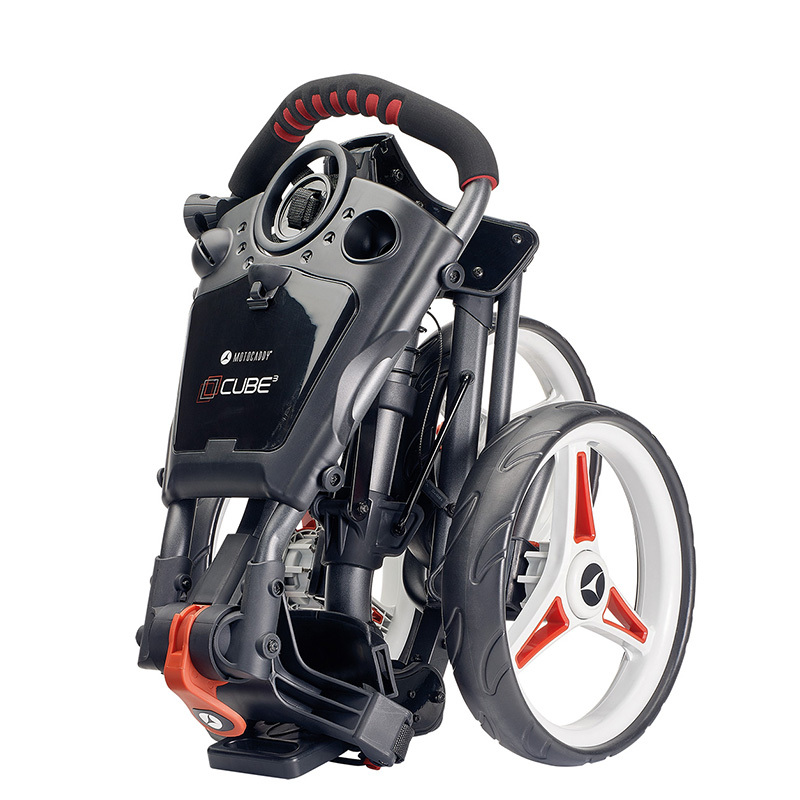 The CUBE 3 has adjustable bag supports and is EASILOCK™ compatible, and can be folded to the size of 850 (L) x 410 (W) x 410mm (H), and the wheels can be removed for even more space savings.